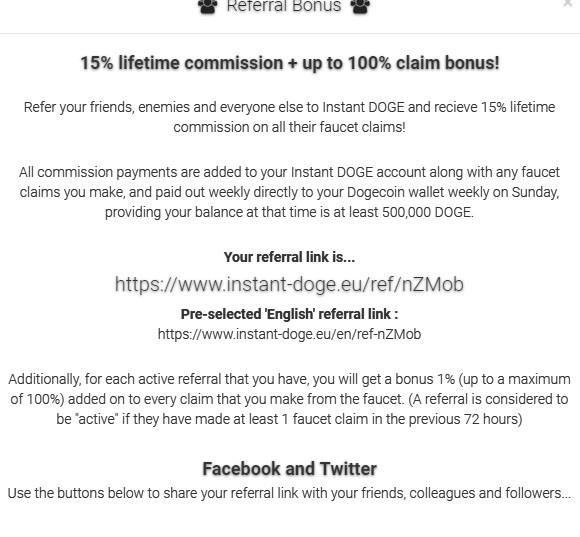 Instant-doge.eu is a pretty new Dogecoin faucet that pays directly to your Dogecoin wallet. 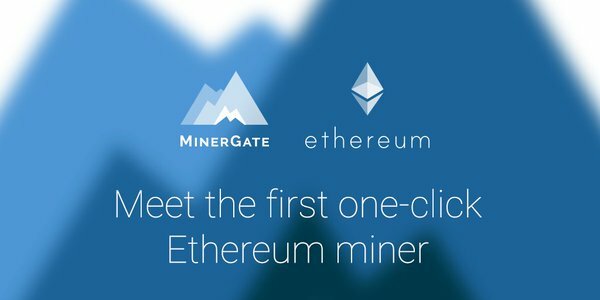 Most faucets pay to faucethub these days, so that is pretty annoying you have to collect more on the site. 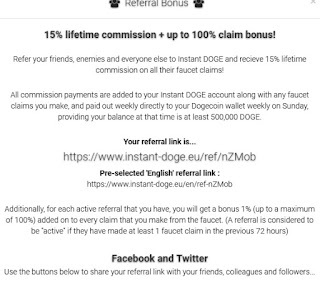 You get a 10 Dogecoin sign up bonus, and can earn around 0.21 Dogecoin every hour. Which is pretty good. 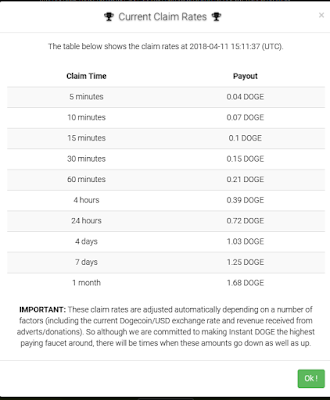 When you run the miner you get extra dogecoin depending on how many hashes you submit, but there are sites that pay you better for using the miner. They have an affiliate program, which pays 15% of your referral claims, with extra bonus on your own claims up to 100%. So you can basically double the claim amounts! In settings you can change minimum withdrawal to 75 Dogecoin to make everything go a bit faster.